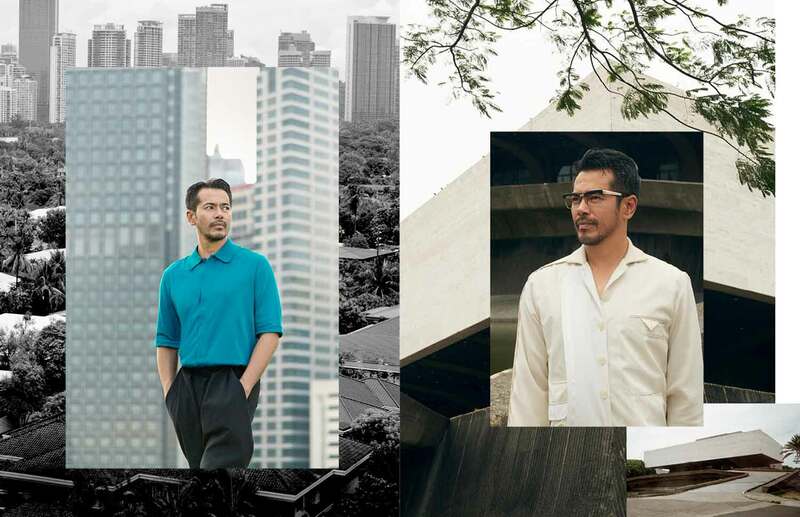 Safari shirt, RANDY ORTIZ, trousers COMME DES GARÇONS, bespoke wood-grain lace-up shoes, MACO CUSTODIO, vintage smoked glasses, KAMUNING STREET thrift shops. 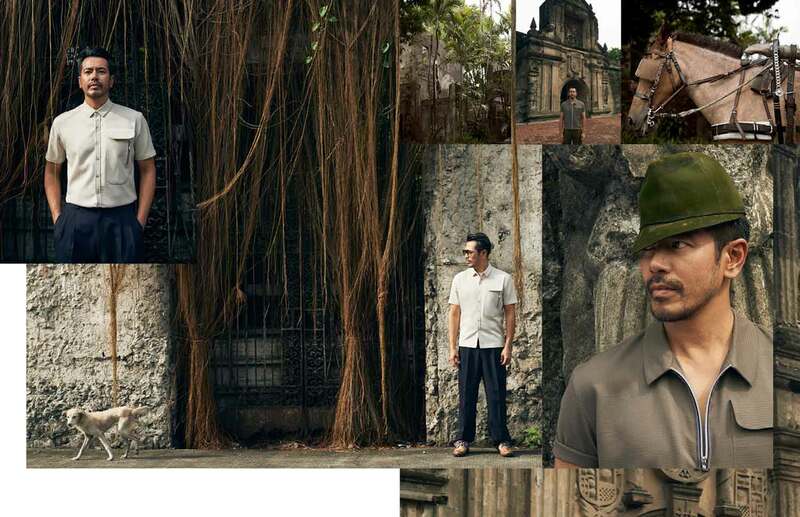 This page: Hand-dipped hat, ALBERTUS SWANEPOEL, safari shirt, RANDY ORTIZ, casual tuxedo trousers, Joey Samson Striped green boxy shirt, PAUL SMITH, trousers and shoes, model’s own Teal boxy shirt, PAUL SMITH, black pants, RHETT EALA. 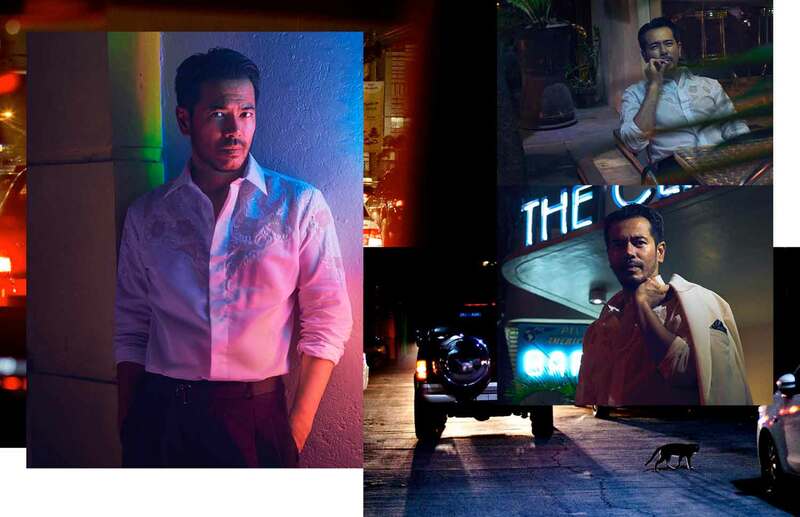 Opposite page: Off-white sports jacket, JOEY SAMSON, vintage reading glasses, KAMUNING STREET thrift shops intage ‘Barong’ from the collection of JOEY SAMSON, ivory tuxedo coat, JOEY SAMSON, bandanna pocket square, BENCH.